Public policy interventions aimed at encouraging, supporting and developing small businesses are important for understanding entrepreneurship and small business management. This textbook is the first to provide teachers and students with a resource that gives an overview of how institutional and policy structures interact with small firm start-ups, continuation and succession/failures. Beginning with a brief introduction to policy processes, the text covers the main policy instruments for entrepreneurial market entry and start-up support, for on-going small business advice and financial support, and succession planning. It particularly focuses on policies that improve the Business Enabling Environment through macroeconomic policy, institutional reform, and deregulation of bureaucratic burdens. Theoretical rigour is complemented by detailed assessments of current policies around the world, including USA, advanced and emerging economies and Policy support from global institutions such as the World Bank and the ILO are included. 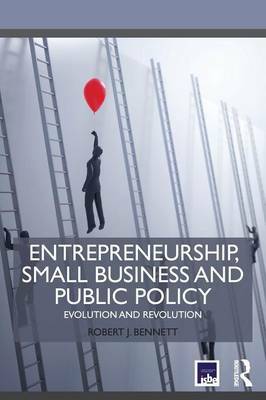 Written by a pre-eminent scholar of public policy and entrepreneurship, this textbook provides a concise but thorough introduction to the subject for Master's students internationally. Policy recommendations in the author's conclusion also highlight the book's value to policy-makers as they adapt to the globalized, digital world.